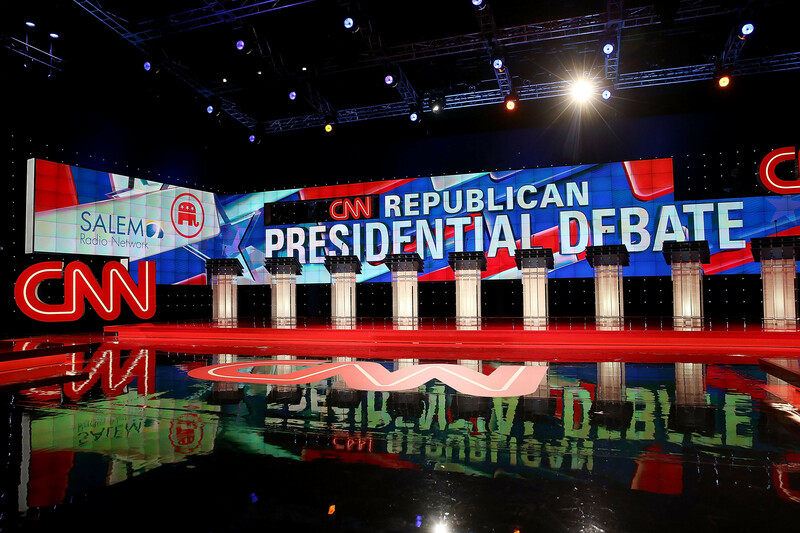 The GOP Debate: Does America need Louder or Leader? Tuesday night’s GOP Debate in Las Vegas was heavily centered on security—and rightfully so. The American people want a leader in the White House—someone who is not timid but has the wisdom to make sound security policies. The debate concentrated on defining what a true leader of the free world is and what his or her most important job is. The general GOP consensus was that a president should have a comprehensive policy and characteristics like experience, judgment, command, and care. One candidate defined the position as needing someone who believes that America is the greatest country in the world and acts like it. It is someone who believes that protecting the security of the American people is the most important task of any president. One comment that kept surfacing was what the GOP needs is not a reckless, “chaos candidate”. Speaking of reckless, there were moments when the debate turned juvenile; for a few minutes, it seemed we had left the Venetian and were suddenly back on the playground. That said, through the subtle and not-so-subtle jabs, it was reiterated that no matter who was elected out of the group on that stage, they would do a significantly better job of protecting America than the current Administration has. As Carly Fiorina noted, it is crucial that the Republican Party has a united front in order to beat the Left in the next election. 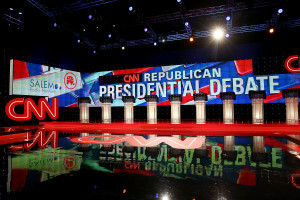 The first major debate topic was focused on defeating terrorism. Candidates reiterated that our biggest problem is not global warming; it is radical extremism and the threat of nuclear war. But, as candidates like Sen. Marco Rubio said, “Our allies no longer trust us, and our adversaries no longer respect us.” It was made clear that the next leader must call the enemy what it is; political correctness should not stop the president from protecting the American people. Our next commander-in-chief must make it clear to the global community that he or she is serious about protecting the citizens of the U.S. and win back the level of respect that America once had in the international arena. Regarding the topic of U.S. immigration policy, Sen. Ted Cruz said that contrary to what some may think, his immigration policy “is not a war on faith. It’s a war on a political and theocratic ideology that seeks to murder us.” The candidates acknowledged the current fear of the American people and the need to eliminate that anxiety through a reassurance of American strength. The candidates again mentioned that the role of president is to protect the people within his or her national borders first; in order to do so, some believed that a “pause” in our immigration system may be necessary until we have the security that is needed to protect against terrorists entering unabated into the U.S. One candidate stated that we must first put on our oxygen mask before assisting others (something that was previously said by Penny Nance, might I add). Since its beginning, America has prided itself for being a melting pot for all people, especially those seeking refuge from corrupt governments; however, the candidates stated that immigrants must do it legally. While there were differences in opinion regarding the means to achieving the end, the candidates were in agreement that illegal immigration is a major security risk that needs reform. In fact, there are roughly 11 million undocumented immigrants in the United States today. Last night, an overlooked yet important comment from one of the candidates was that he was personally giving to his church to care for the truly suffering refugees in his area. This is a humbling reminder to believers to be active in following the command to care for and love the foreigner among them (Leviticus 19:33-34). It is our job as Christ-followers to care for the needs of those who are hurting as we would our own. The final topics in the debate centered around U.S. foreign policy regarding countries like Russia, China, Iran, and North Korea. After the questions and discussion time ended, each of the candidates was given the floor for concluding remarks. Seeing as Americans need reassurance now more than ever, the contenders once again reiterated both the characteristics and security strategies the next president should encompass. In their minds, the next leader must restore and preserve America’s exceptionalism for the next generation, but he or she must be trustworthy—ensuring both the global community and the American people that the U.S. is a security force with which to be reckoned. Lastly, as Ben Carson stated, the next president must hold fast to his or her values and be willing to forego political correctness when necessary—especially in matters of security for the American people. The seriousness of the situation in which our nation finds itself is apparent, making this election one of the most important of our time. The American people don’t necessarily need the candidate who is the loudest; when it comes to national security decisions, they need a leader. They need someone who doesn’t just talk boldly to the media but courageously acts. And finally, someone who has the experience to be firm yet wise in how he or she approaches foreign and domestic security affairs is needed. In a recent Quinnipiac poll, the Republican-leaning individuals are in somewhat of a quandary. While Donald Trump is leading in most polls, 26 percent of Republicans said they would definitely not support Trump. Some experts are saying that Donald Trump is the Republican primary “Dream Nominee” for Democrats because they believe he would not have the support to beat Hillary (if nominated) in a head-to-head battle. Why is that? Well, the pollsters found that what voters are looking for, in order of importance, is someone who possesses strong leadership, is honest or trustworthy, and shares their values. Trump is leading in the strong leadership category, but is not in the other two categories. According to Wall Street Journal columnist Peggy Noonan, a leader is someone who has political discipline, and up to this point, Mr. Trump has not convinced an important chunk of Republicans that he is capable of that. Republican voters need to figure out their discrepancies, and do it quickly. In order for the candidate to compete with what seems to be a die-hard Hillary fan group, they’ll need someone who they can stand behind confidently in multiple areas. And for all Americans, Republican or Democrat, we must decide what truly makes a president. Which characteristics are most important, and to whom would “We the People” entrust our security?